As a deception analyst, a number of people have asked me for my feedback on the Kavanaugh/Ford hearing. KAVANAUGH was credible, in all areas of his testimony, EXCEPT when he spoke of his drinking. He was withholding or attempting to mislead when responding to questions about his usage and behavior while drinking. It was a definite change in baseline from the rest of his testimony. His denials were characteristic of true denials. I listen to make sure the subject denies the specific act, not the conclusion, or not something that only sounds like a denial. Dr. FORD was consistently inconsistent and not credible in much of her testimony. A number of her denials were not true denials. When asked many yes or no questions, she responded “never” or became unclear what was being asked. If you’ve read my previous analyses you’ll know that Never does not mean No. Only if asked “have you ever …” then if followed by no, never, would that be credible. Another example of Dr. Ford’s inconsistent testimony was when she was asked if anyone had told her how to take a polygraph, she was evasive in her response. Then when asked if she knew she her exam would be taped, she responded that she didn’t know “because she was thinking about what she was going to say” – but at that point the exam/questioning had not yet begun. Again, this is just a snapshot of the nine hours of testimony. 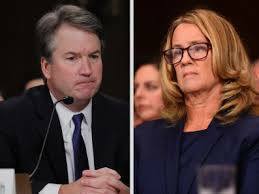 After reviewing all the available information, it is my professional determination that Kavanaugh was credible when discussing the alleged assault; Ford was not credible with many of her responses. I’ve had some share with me articles proclaiming the contrary to what I just said above. Those articles they cited were based on body language analysis. To detect deception, I use a method called Statement Analysis®. This method is sometimes referred to as content analysis or forensic statement analysis. It uses words instead of actions, and it is the most accurate and reliable way to determine if someone is lying. This proven method entails paying close attention to the actual words someone writes or speaks. Unlike body language, content analysis requires no interpretation, and you can determine credibility without the need to see the person making the statements. In body language, what does it mean if someone has their arms crossed in front of them? Many would say, that they’re mad, or closed off, not open to information being received. Perhaps that is the case. But it could also mean they are cold, or trying to muffle hunger pangs, or that it is merely a comfortable place to put their arms. Do you see how body language analyses are not reliable? There are too many possibilities for interpretation. I’ve been told that as a woman I should believe other victims. I do support bonafide victims, of any gender. Unquestionably. But I do not merely believe someone based on gender or because they said so. My decades of training, working in facts, won’t allow that. Here’s the thing about lying – if only wanting someone to be telling the truth were enough to make it so. You may believe someone is telling the truth, but what does the evidence say? Here’s the thing about lie detecting – studies have shown that the untrained person can only tell if someone is lying about half of the time (47-53%). Most people who think they are good lie detectors, really aren’t. They may be able to tell when a loved one isn’t being truthful, but that’s often because they have a good baseline of those closest to them. However, sometimes it’s those closest to them who are harder to tell if they’re lying because they want them to be telling the truth. Enter collusion – the act of willingly, or sometimes subconsciously, refusing to believe the truth that is right in front of them. If they were to confront the lie, instead of going along with it, they’d be forced to admit something to themselves and possibly take action they don’t want to. With regard to the Kavanaugh/Ford great divide, it doesn’t take a professional to see that opinions about Ford’s claims and Kavanaugh’s suitability are greatly divided based on gender and what side of the political aisle they sit. However, it is important to note that those conclusions are based largely on belief and opinion. It’s evident there are a couple of agendas and biases at work formulating these opinions – such as who will occupy the open SCOTUS seat, and what they speculate that will mean for the future politically. I’ve also heard from women who were personally victims of sexual assault. While that is unequivocally unacceptable and a heinous act, it’s some of these very victims who have automatically sided with Dr. Ford, merely because of the lens through which they see her claims. I understand this is a subject most are very passionate about in their beliefs. I have, at times, been accused of having personal beliefs which have swayed my analyses, when in fact my personal opinion has actually differed from the professional outcomes. With what I do, my personal experiences and beliefs, and what I may want to be true, don’t matter. I only analyze their actual words, without interpretation. It doesn’t even matter if I agree or disagree with the outcome, as it is my job to analyze, not interpret, regardless of my gender or where I may sit politically.